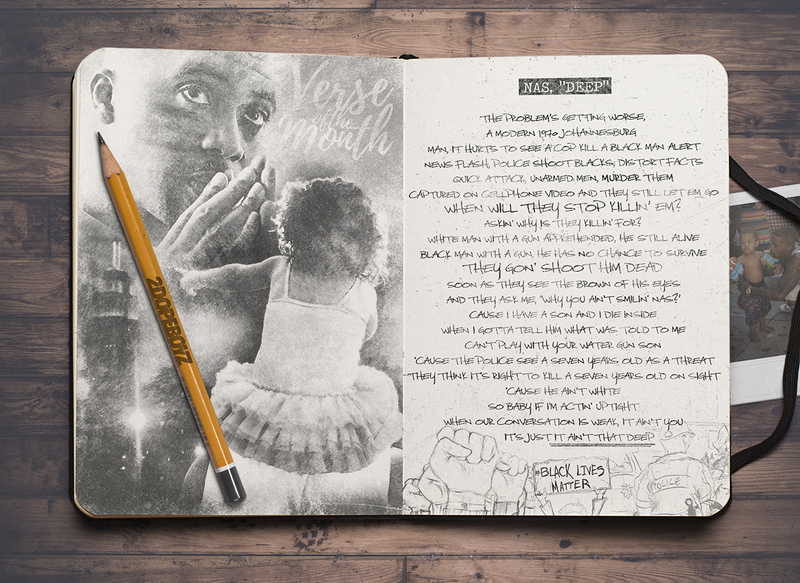 Each month, we’ll spotlight five (or six) of the finest offerings and leave it up to you to vote who had the “2Dope Verse Of The Month.” After we tally the votes, we’ll post the winner of the fan vote as well as who The DopeHouse thought put together an excellent display of lyricism. While André 3000 won with ease in August, September was much more difficult to choose, with Dave East ultimately taking the crown. Now, the results are in. And, although Eminem took home the fan vote (are you really surprised? ), we’re giving the nod to Nasir Jones for his opening verse on “Deep” with Robin Thicke. Nas has quietly had a banner year in 2016 without even releasing an album. He’s been busy with his Mass Appeal brand, producing movies (The Land) and showing up with potent verses that had everyone talking (“Nas Album Done“). This time around, Nas goes the a capella route on Robin Thicke’s “Deep” and delivers an insightful verse on racial injustice and police brutality in America. Although there are quite a few emcees touching on the topic that has Colin Kaepernick kneeling before every game, Nas’ perspective as a veteran of the game is a somber, yet refreshing reminder that we aren’t out of the woods yet. There are no tightly knit metaphors here. Just facts. From the difference between an armed black man and an armed white man being apprehended by police to the fact that he has to tell his son that he can no longer play with a water pistol, Nas earns the nod for best verse of October from The DopeHouse.